Mesotherapy is the practice of injecting small amounts of medication and/or vitamins into the middle layer of skin known as the mesoderm. Mesotherapy was pioneered by Dr. Michel Pistor in 1952 and was given formal recognition as part of medicine by the French Academy of Medicine in 1987. For over 50 years more than 15,000 doctors worldwide have used mesotherapy on a daily basis for a variety of applications including overall weight loss, spot weight reduction, hair loss, cellulite reduction, scar revision, wrinkle elimination, lipoma reduction and to correct uneveness, divots and lumps that may develop after liposuction. Mesotherapy has been used for the treatment of acne, arthritis, joint problems, sports injuries and for cosmetic purposes such as facial rejuvenation. Each mesotherapy treatment may involve hundreds of small injections and typical sessions last a few minutes. Mesotherapy given over a course of 10 sessions is capable of deflating fat cells. 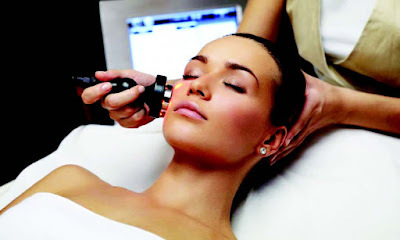 Mesotherapy involves the injection of a customized mixture of vitamins, amino acids, medications and homeopathic preparations delivered a few millimetres under the skin (mesoderm) into the problematic area through a series of tiny almost painless microinjections used to deliver the treatment preparations. Mesotherapy’s wide variety of applications also include fighting infection, relieving muscle spasms and arthritic pain, treating hair loss, helping individuals stop smoking, controlling anxiety and most commonly for treating cellulite, toning the skin, removing fat and losing weight. Each solution is formulated to meet individual needs. determine the most effective combination such as Genetic predisposition to condition in question, detailed medical history, gender, type of fat (soft or firm), history of liposuction and age. Mesotherapy should not be performed on individuals with known allergies to ingredients used, individuals with a history of stroke, systemic illness, herpes, active skin disease, kidney and liver disease. With the use of a tiny needle about the thickness of an eyelash, the medication is injected into the mesoderm painlessly. Sometimes the multi-pricking technique is used which may be performed manually or with the use of a semi-automatic or automatic Mesogun. Patients undergoing mesotherapy are advised to follow a natural and healthy diet and to drink plenty of water to flush out the toxins and dissolved fat produced by the process. Exercise is necessary at least 3 times a week to improve circulation.